A crash occurs when a misbehaving program or driver shutdowns Windows 8 completely and displays an error message. 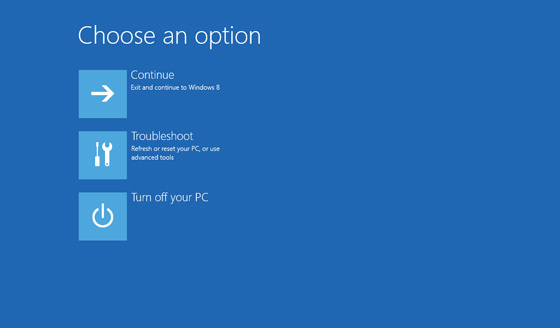 On Windows 8 this is usually a Blue Screen of Death or STOP message. Sometimes the faulty program will just stop responding and either hangs or shuts it self down and display the desktop. Fortunately, Windows 8 is very stable, and only the program will crash and not Windows. Hanging, freezing or unresponsiveness can be caused by a program using too much CPU time (see Task Manager or Resource Manager) and not allowing Windows or other programs to run. Bad hardware or drivers can also cause freezing as the hardware is either incorrectly installed, or the drivers has bugs or some other problem. When you can back into your system, load up the Event Viewer (eventvwr.msc) and check the System and Application logs for any recent errors and warnings. These can point you to potential problems on your system. If you have problems with running games or your graphics card or sound card, load DxDiag.exe and check each screen and run the tests to make sure your cards are correctly configured, changing the drivers may help. Also, look in Device Manager to see if there is a problem with any devices on your system, look for yellow exclamation marks next to problematic devices. 5. How do I restore back to a previous configuration? Use the System Restore tool in Control Panel, System, System Protection to restore to a previous version of the registry. Just follow the prompts in the Wizard and select a date (it even tells you what you installed at that time). To enable/disable Restore mode, open the System control panel, click on System Restore and tick or untick the box to enable it. If unable to boot, then use Last Known Good Configuration after pressing F8 for Safe Mode menu. 6. How do I copy missing files from my 8 DVD? Most files for Windows are stored on the Windows DVD or installation file. You can also use SFC /SCANNOW to replace corrupt or missing system files. 7. What does the error message mean on a Blue STOP screen? These STOP message occurs when a fatal error occurs which Windows cannot easily recover, sometimes a reboot will recover, if not then you need to boot into Safe Mode (press F8) when starting Windows or use the Recovery/Repairs tools from the Windows DVD. See STOP Messages Database for explaination of them. 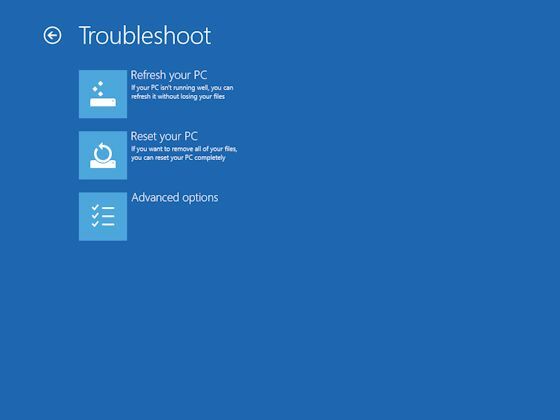 To repair Windows 8, when it does not boot, you need to boot from the Windows 8 press F8 (or press Shift key and select Restart) and select Repair Your Computer. 8. My PC is constantly shutting down. For example, LSASS, RPC, RPCSS or DCOM is shutting down? This is usually caused by your PC being infected with a worm that is shutting down essential operating system services which causes your system to shut down unexpectedly. You must install or enable a Firewall and an Antivirus program to prevent these types of attack. 9. How do I repair my Windows 8 installation? a) You can either use the SFC /SCANNOW utilitiy to repair and replace missing system files. b) Reboot the PC, press F8 and select the Last Known Good Configuration during boot up to use a previous version of Registry. 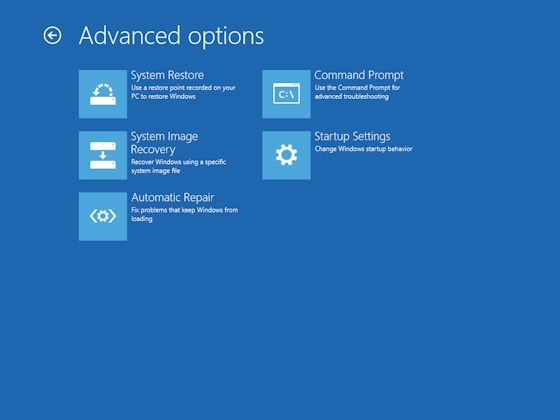 c) You can use System Restore to restore Windows to a previous good state. 10. My computer has suddenly become a lot slower? A recent program installation could cause this. It may be a legitimate program which is taking too long to complete a task and taking up too much cpu or disk usage (use Task Manager) to find out which process is causing it. Sometime a virus, spyware or other malware can cause system slow downs. Run a full virus scan of the hard disk and a scan with a Antispyware product may find some unwanted programs (sometimes known as PUPs - Potentially Unwanted Programs). 11. How do I get to the Recovery Console or Command Prompt? a) Press F8 during bootup of Windows from the Hard disk and select Safe Mode with Command Prompt. b) Press Ctrl+Alt+Del, press the SHIFT key and select Restart from the power menu (bottom right). c) Boot from the Windows 8 DVD or repair disc, select the recovery options. d) Use a Windows PE disc to get to a command prompt. e) If Windows is loaded, press Windows key and X key to get the admin tool menu. - System Image. Restore Windows with a specific system image. - Startup Settings. Change Windows startup behaivour e.g. low-res mode, debugging, safe mode etc. - SFC - System file checker. Checks and repairs system files. - DISKPART - Disk partitioner tool. - TAKEOWN - Take ownership of folders and files. 12. Where can I find the System Restore program? d) Press Windows key + R, type in rstrui.exe. 13. How do I check or backup my BCD boot settings? You can use the BCDEdit /export command or use the new EasyBCD program from Neosmart. 14. How do I create a Recovery drive or disk, so I can use it to reinstall Windows? You need to have created a Recovery drive or disc so that you can use it to refresh or reset your PC. Click on Control Panel, enter 'Recovery' in the Search box and then click on Create a Recovery drive. can be found in a WindowsESD folder on your hard disk, and you can use that to create a bootable disk to reinstall Windows.